This time of year is the perfect opportunity to focus on gratitude! Gratitude is a major theme in A course in Miracles. We are thankful to our brothers, sisters and all “living things” for the opportunity to remember who we are through forgiveness. Forgiveness is the reflection of God’s love for us. 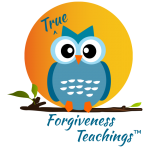 Practicing “true forgiveness” reminds us who we are. Without all the seeming situations, events and people in our lives that make us upset, we would never have the opportunity to change our minds about them and therefore remember we HAVE a mind which can choose to view our situations with the ego or the Holy spirit. As we turn inward to the mind, we slowly recognize what we see out in the world is in an outward picture of the inward condition of our decision making mind. Any upset that is used as a classroom to bring our attention back to the mind, so we can choose again, is something to be grateful for. We learn our pain or happiness is not because of anything in the world, but rather a choice for our wrong or right minds. Why is this so? We are dreaming a dream of separation and can awaken by choosing to follow our right-minded teacher and forgive what seems to be outside of us. We are really forgiving ourselves for dreaming all the dream figures and situations in our lives. The world – our situations, events and especially in our relationships – is where we project our unconscious guilt. We are projecting our own unconscious guilt onto others, and they act out to fulfill our secret sins and hidden hates. If we are not aware of our unconscious guilt then there is no way of forgiving it. This is why Jesus helps us use the people and situations in the world as a classroom to learn to forgive. When we awaken from the dream we know there is only Oneness – no separation, differences, fragmentation, opposites or division. No bodies, only awareness of perfect Oneness with our Creator. Lesson 195 says ” Love is the way I walk in gratitude”. Gratitude reflects the perfect Oneness in Heaven – no differences, only Oneness. Peace to my mind. Let all my thoughts be still. 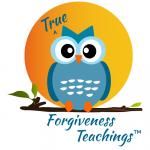 I wanted to put out one of my little “reminders” on how to stay vigilant for the Course’s teachings of true forgiveness! Any time you feel you are not at peace, you know you are in the ego’s thought system. Remember that you can change your internal teacher at any time, in any place and in any circumstance. For example, say to yourself “I am willing to see this (person, situation, circumstance) through Christ’s vision.” Just being able to STOP in the moment and have the awareness that there are 2 teachers in the mind is big! Congratulate yourself for that recognition! Now you are back to place of cause and not effect. Remember the world is in the mind, it’s just a projection coming from you (not you as body, but as the one mind that believes it’s here). Our identity in the world is of a dreaming mind. You are love and you are loved! Happy 4th of July! A note for you about my experience of true freedom! I hope you have a safe and happy 4th of July weekend! I will be relaxing, enjoying some time outside, and eating some good food! I wanted to share my thoughts about being vigilant with my practice of A Course in Miracles and my experience as a result of consistent practice over many years. For those of us on this particular spiritual path, it’s helpful to remember that we live “normal” lives and have “normal” conversations. One of the things that’s most important is remembering ACIM only asks us to change the internal teacher in our mind to the Holy Spirit or Jesus and live under His direction instead of the ego’s. Either the teacher that reflects fear (the ego) or the teacher that reflect love (Jesus, the Holy spirit) is guiding us in every moment. A Course in Miracles is always about what we’re THINKING in our minds. Which teacher are we listening to as we go through all our experiences here? Listening to the ego always involves competition, separate interests, bargaining with one another, scarcity, lack, sin, guilt, fear & death. Listening to the Holy Spirit always involves shared interests, peace, compassion, love, forgiveness and eventual awakening to perfect Oneness – our true home! When the mind is at peace love is reflected here in the world. It has been so freeing to become a “follower”. I follow my internal guidance from my Highest Self, which the Course terms the Holy Spirit or Jesus. As soon as the ego part of my mind wants to take charge I gently remember to give it a back seat! True freedom has been giving up judgment! The individual “I” that used to think it knew everything is replaced with the loving guidance of the One Who knows more than the ego’s “I”. My days are light, gentle and easy. This is not because I never get upset or because there are never any problems to face. Those things are always built into the script while we appear to be here in the world. However, what changes with the daily practice of true forgiveness is the amount of time I spend with the ego or the Holy Spirit. The majority of my time is spent with my Higher Self ( Jesus, the Holy Spirit) in my mind accompanying me as I move through my days and awaken. We are in mid-May! Can you believe it? I wanted to post a little “reminder” from A Course in Miracles to help us all stay focused on what is “true”: Our shared Oneness, in Heaven, the home we never really left. We are dreaming this world of perception. The world is always crazy and if we allow our mind get caught up in it we are merely reinforcing the ego’s illusion of separation. Let’s remember to choose the right-minded teacher – the Holy Spirit or Jesus, and reflect that interpretation and thought system into the dream hologram! We will be most helpful to everyone when we remember this! After all, there’s only one of us that thinks its here. When our mind makes this choice we make it for everyone. Happy March to all of you! Can you believe how fast the year is going? Wow! I wanted to recommend a couple books that I’ve found very helpful. They are by New York Times Best-Selling author Anthony William. the first is Medical Medium: Secrets Behind Chronic and Mystery Illness and How to Finally Heal. The second is Medical Medium: Life Changing Foods! Following Anthony’s suggestions have resulted in increased energy and peace of mind! Enjoy! There appears to be many things happening to make us fearful these days. We see images and hear a narrative on the news of how bad things are. It can seem overwhelming, to say the least. We naturally want to stay “informed” so we know what’s going on in the world. However, if we look at things from a higher perspective, through a different lens, we can choose where to invest our focus, time and energy. Why would we look at things from a higher perspective? There comes a point when we say “enough is enough – there must be a better way.” It is possible to have inner peace regardless of what is happening around you. The ego looks at what goes on through the lens of fear and illusion, while the Holy Spirit/Higher Self looks through the lens of true forgiveness and compassion. A Course in Miracles gives us a way to deal with the illusion (world) and reverse our projections of unconscious guilt. This is a “process” because we experience time-space and need help from outside this cosmic dream. For sure, we are having the experience that everything is real. It is never okay in a permanent way. This approach does not work. We experience duality in the world which means there are both good and bad experiences. We temporally experience an illusory process with a beginning and an end. Because our experience is temporal and spacial, the Course speaks to us where we believe we are. We need help to change our thinking- our perception. The ego wants to keep its existence, so it does not show us the truth. We have to change our teacher in the mind. Enter the Holy Spirit/Higher Self/Jesus. There are 2 ways to view the projection – through the ego’s lens of it being real, or through the Holy Spirit’s “true perception” that the separation didn’t really occur – we did not separate from perfect Oneness in Heaven. We just THOUGHT we did. Therefore instead of believing the “tiny, mad Idea” of separation, we can choose the atonement (correction of perception that the separation did not occur) and recognize what we’re seeing isn’t true. Now we are at cause ( mind) instead of effect (bodies in a world). We function normally in the world, but under a different set of principles – the principles of spiritual sight, true forgiveness, shared interests and kindness. We THINK about everything differently. This undoes the idea of separation in the mind (ego) and does not further illusions, but wakes us up! The way to heal the world is to reflect love into it-into the time-space dream. This is done by how you think about the world. How you choose to think will direct all your functioning. Feeding the fear reinforces the illusion. Hello my friends! I hope this new year is treating you well! This year has started off right up the ego’s alley – separation, division and differences. I’m speaking of the political scene seemingly dividing many groups at this time. Let’s look at it through ACIM‘s perspective. A Course in Miracles reminds us that everything we see in the world is a reflection of the thought of separation in the mind. 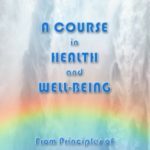 The Course teaches that we are mind – this is the mind outside time and space where we are viewing our dream. It doesn’t matter what images that thought system reflects, it’s all part of the same illusion that has never left its source in the mind. The world is a projection of the unconscious guilt in our mind over the seeming separation from our Creator/Source. The unconscious guilt projected from the mind takes form – bodies, objects- animate and inanimate. The Course teaches that the world is an “outside picture of an inward condition”. The inward condition is the ego thought system of separation. The ego wants to keep us convinced we’re bodies so we never go back to the mind and choose against it in favor of Spirit. The Course teaches ” I am never upset for the reason I think.” We forget that what we see is all part of the same projected illusion. The illusion of the world and body comes from the illusory thought in the mind. This illusory thought that we could be separate from our Oneness in Heaven seemed to occur as a “tiny mad idea…” in the mind. When we chose to believe this “tiny, mad idea”, it set into motion the whole chain of seeming choices that resulted in the making of the illusory time-space universe. The mind seemed to go to sleep for a little while and is dreaming we are separate from our Creator/Source. We are fooled into thinking that the cause of our upset is all the people and situations in the world. However, we are really upset because we chose the teacher of sin, guilt and fear in the mind that made up the illusory world to keep us mindless. The figures in our dream take many forms – these forms include political figures. Remember…anytime anything external in the world makes us upset, triggered, angry, a victim, depressed, sad, etc., that is our clue to go back to the mind (cause) and choose the right teacher. A political situation is no different than any other situation, person, or event. We forgive all images equally because they’re all untrue. As we forgive, we undo the idea of separation in the mind, thus helping us awaken from the dream. When we forgive the images our body’s eyes show us for what they haven’t really done, we make the choice for the entire sonship because there’s only one mind that thinks it’s here. Everyone is included when we make a choice for the atonement, which is the correction of our belief in sin. 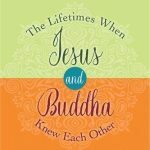 Atonement in ACIM says we did NOT sin (we did not separate from our Creator). Mistakes call for correction, not punishment. The core process of forgiveness is withdrawing our projections. The miracle (a shift in perception) takes our attention from the illusory world and brings it back to the mind so we can choose again. Changing our thinking changes everything in our experience. It does not necessarily change the world/forms, but when we are right-minded we are not concerned with form, rather we are focused on the content of love in the mind. The love is then reflected into all our actions and words. Our bodies are involved in the “doing”, however we know that we are not really our bodies. When we feel there’s something to “do”, the Course asks us to let the content of love be the agent of our “doing”. Maui Dreaming…a symbol in the mind of peace & comfort! Join my Jackie Lora Jones Newsletter mailing list to receive newsletters about upcoming events, podcasts, and VLOGs for a dose of inspiration! I am currently offering counseling sessions via Skype or FaceTime. I invite you to schedule a complimentary consultation. I work on a sliding scale, so I have student rates and discounted rates available. Please complete a counseling form and I will contact you for your initial consultation. 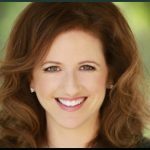 Maria Felipe was kind enough to interview me about principles of A Course in Miracles for Live Your Happy TV. Enjoy! Amy on Maui Dreaming…a symbol in the mind of peace & comfort! Jackie Lora Jones on Peace to my mind. Let all my thoughts be still. Marlaya on Peace to my mind. Let all my thoughts be still. Copyright © 2019 Jackie Lora Jones. All Rights Reserved. Sign-up now for a dose of inspiration!